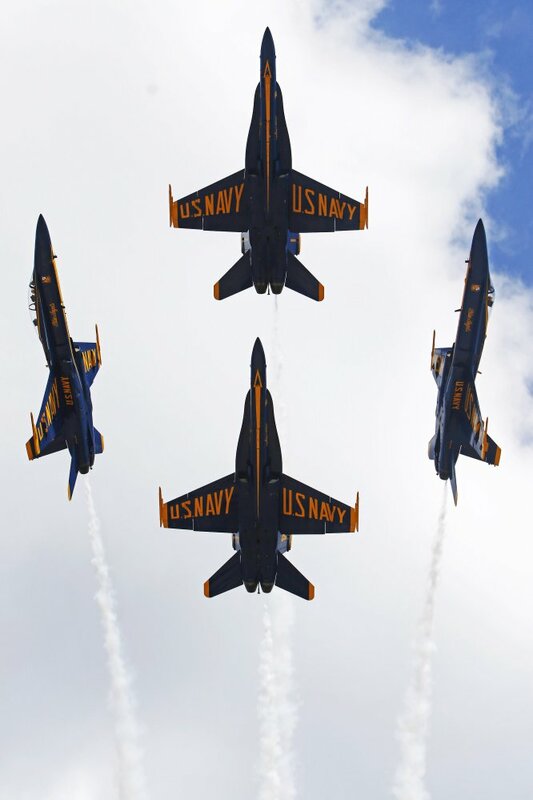 The U.S. Navy Blue Angels perform a diamond pass. 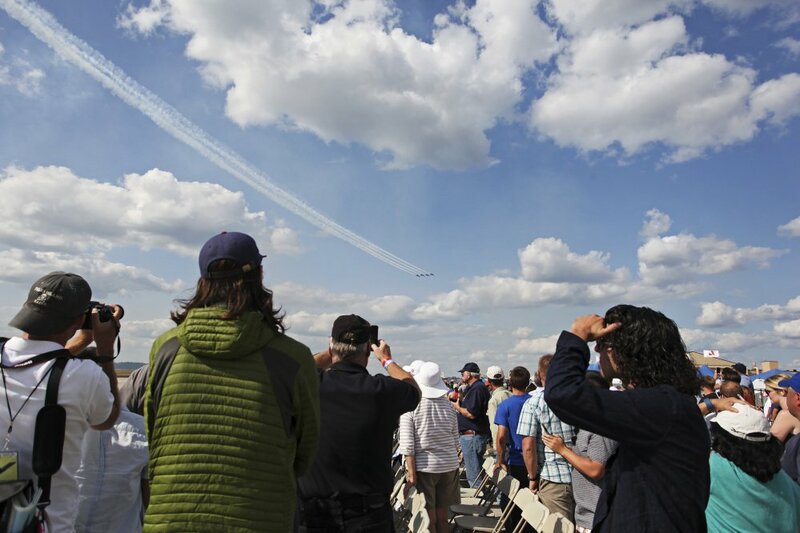 Spectators watch the Blue Angels perform at The Great State of Maine Air Show. 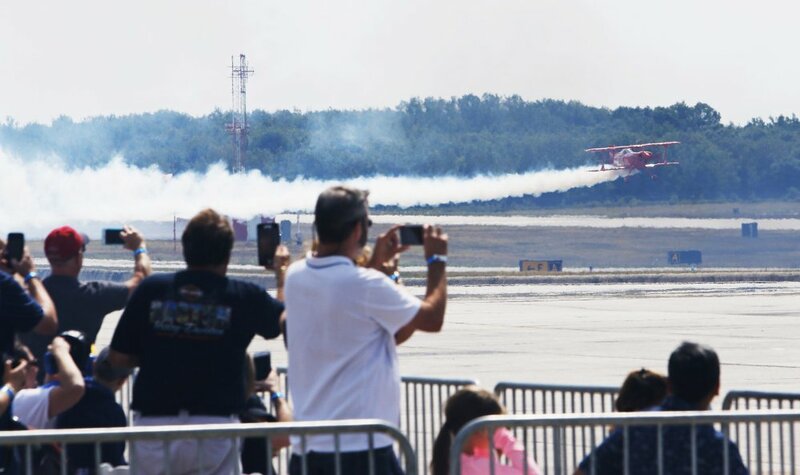  Spectators photograph Mike Wiskus as he makes a low pass with his stunt plane. 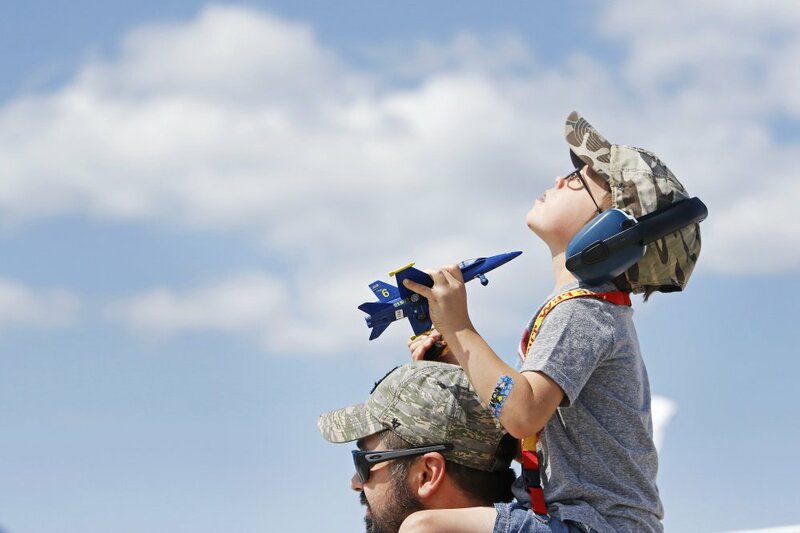 Logan Dumont, 8, of Lewiston has a bird's-eye view of The Great State of Maine Air Show with his dad, Ethan Dumont. 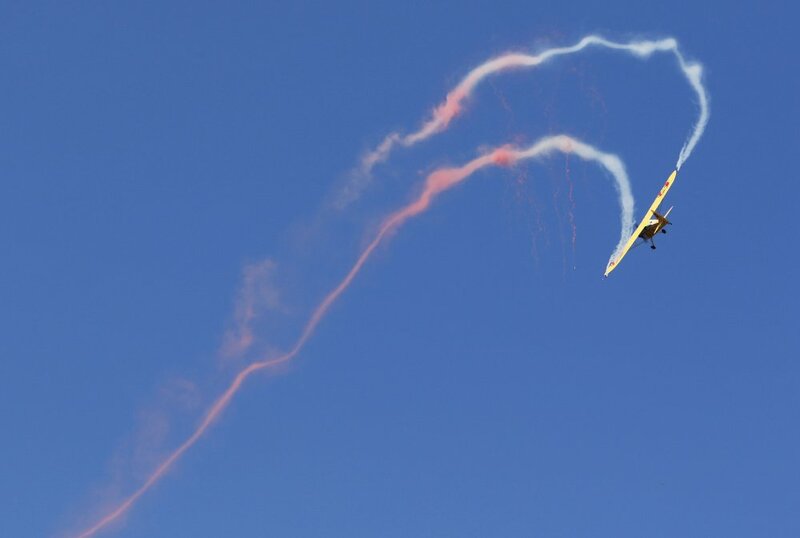 Colorful smoke decorates the sky during the The Great State of Maine Air Show at Brunswick Executive Airport. 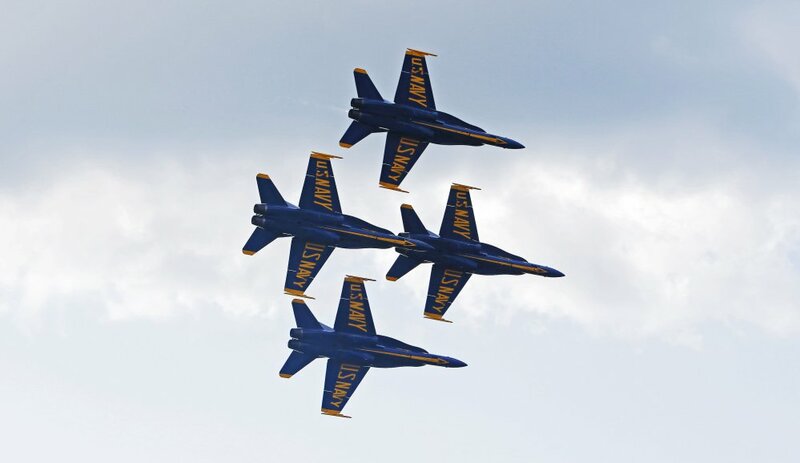 The U.S. Navy Blue Angels fly in formation at The Great State of Maine Air Show. 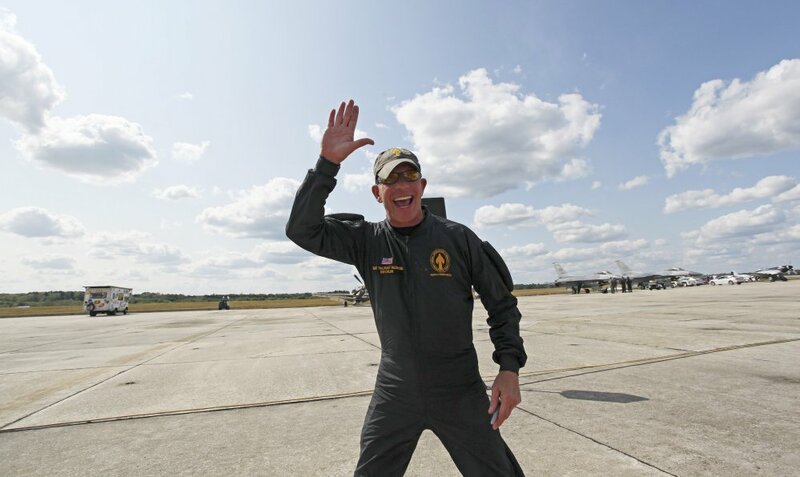 U.S. Special Operations Command Parachute Jump Team member Russ "Haloman" McDaniel waves to the crowd after landing. 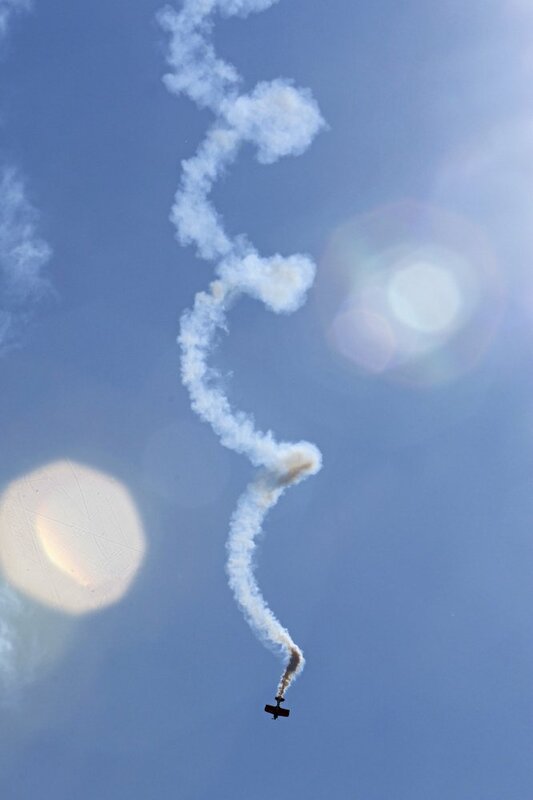 Mike Wiskus spirals in the sun at The Great State of Maine Air Show. 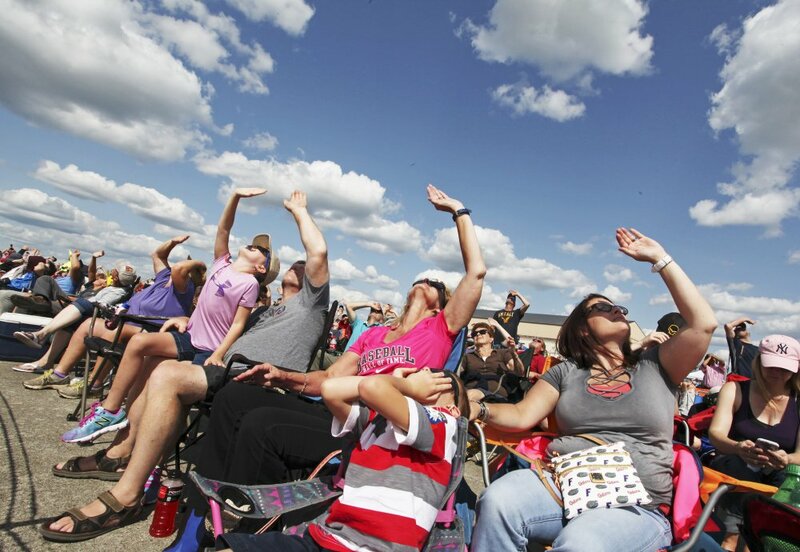 A crowd of all ages looks skyward at The Great State of Maine Air Show at Brunswick Executive Airport. 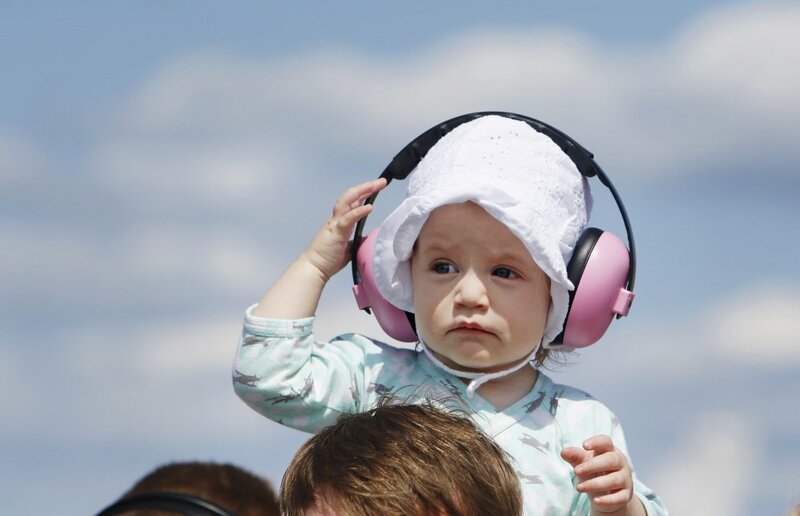 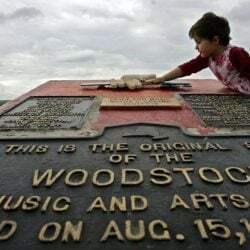 Ellie Strouse, 1, of Augusta is prepared for the sounds from the sky while attending The Great State of Maine Air Show with her parents, Samantha and Matt Strouse. 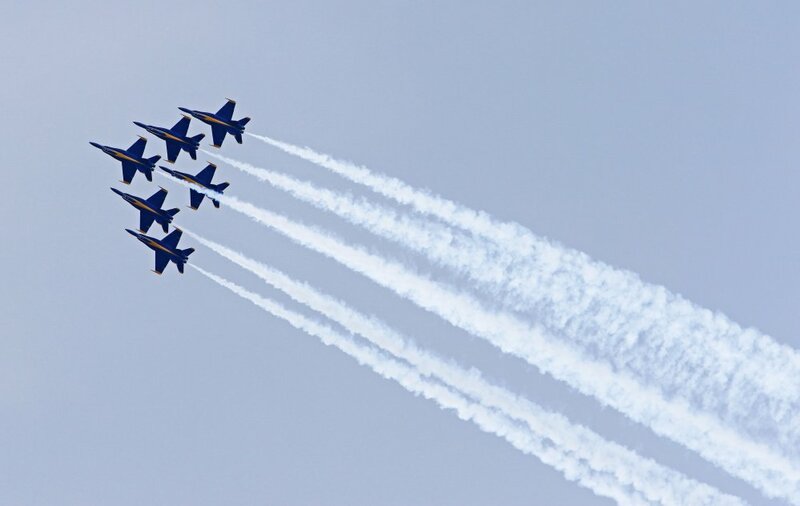 The U.S. Navy Blue Angels fill the skies while performing at The Great State of Maine Air Show at Brunswick Executive Airport. 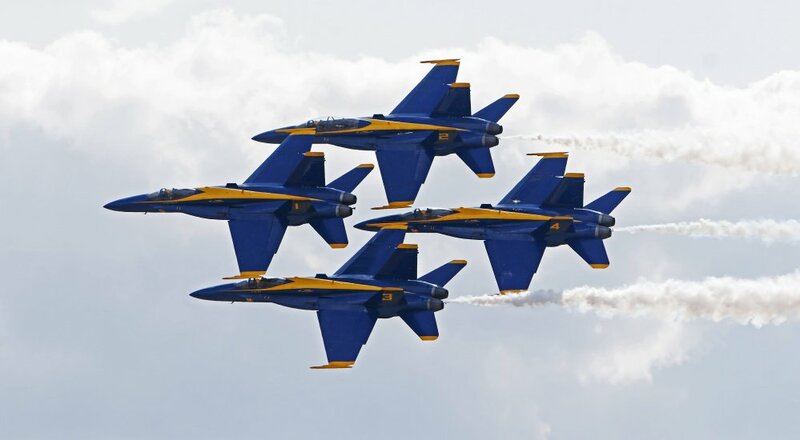 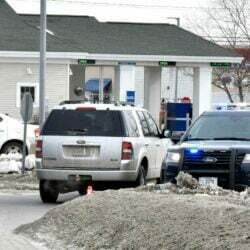 The U.S. Navy Blue Angels fly at The Great State of Maine Air Show at Brunswick Executive Airport. 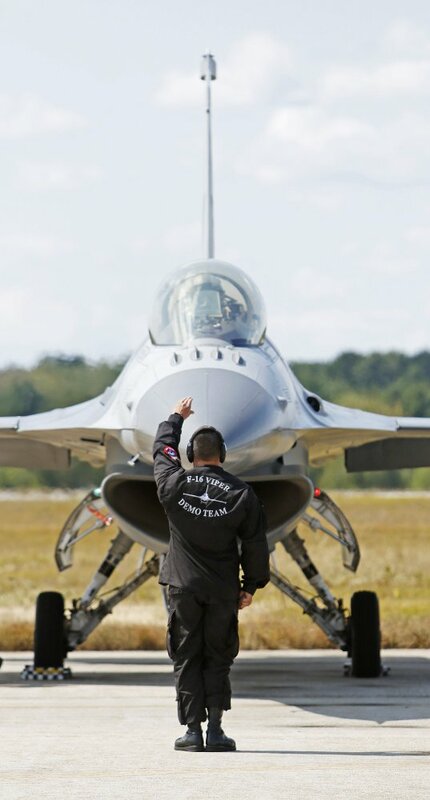 A member of the U.S. Air Force F-16 Viper Demo Team runs final safety checks before performing.